This guest blogpost comes from Jon Roberts, genetic counsellor and PhD student at KCL and Wellcome Genome Campus. Jon is exploring how popular films and books reach the public and contribute to understanding and communication about genetics. We’re living in age where science fiction rules. This is exemplified by the popularity of the comic book film. The Marvel cinematic universe – which includes the characters Iron Man, Captain America, The Hulk and Spider man- has been a major success. Marvel’s rival, DC, is also building its universe. It’s leading up to films about the ‘Justice League’ that involves Batman, Superman and Wonder Woman. The films in the Marvel Universe have grossed over $9 billion dollars, more than popular franchises such as Star Wars, Harry Potter and James Bond. 2014 the top three grossing films where Guardians of the Galaxy, The Hunger Games: Mokingjay and Captain America: The Winter Soldier. In 2015 they were Star Wars, Jurassic World and the Avengers: Age of Ultron. 2016 has already seen Batman Vs Superman become a box office success will see the release of two films expected to be major successes: Captain America: Civil War and X-Men: Apocalypse. These films contain a lot of science, often related to genetics. Spiderman is bitten by a genetically engineered spider, the ‘X-men’ have powers caused by genetic mutations, the dinosaurs in Jurassic world are genetically engineered; cloned from the DNA of prehistoric mosquitoes and in the Hunger Games the ‘Capitol’ uses genetically enhanced birds called ‘Jabberjays’ to spy on rebels. There are also broader themes relevant to current debates in science in these films: Batman Vs. Superman, Captain America: Civil War and the films in the X-men and Spiderman franchise all explore the idea of power and responsibility. This is best summed up by the pithy line from Spiderman “With great power comes great responsibility.” It is, I think, quite an interesting theme, made very entertaining with a good deal of Smack! Thwack! And Kpow-ing! The theme of balancing the potential for ‘doing good’ Vs. ‘accountability and responsibility’ is a theme incredibly pertinent to genetics. We can see this in debates around the potential use of gene editing made possible by CRISPR, especially regarding the use of genetically engineered embryos. We see it too in the discussion about the data sharing of genetic information, where dedication to scientific progress (doing good) is weighed against privacy rights (responsibility and accountability). An interesting question is to ask is: what are the implications of the themes explored in these films on the public perception of science? One positive answer is that their popularity certainly breeds familiarity with some scientific terminology. However, there are concerns that science in films is inaccurate leading to misconceptions and that films sometimes present a negative view of science drawing on the trope of the ‘mad scientists’; Disaster follows, we are told, when scientists decide to play God. I’ll be honest; I’m not too worried about either the accuracy of science in films or negative portrayals. Instead, the aspect of how films influence opinion I am interested in is way that people understand films as fiction. This is because, by and large, people understand that having a genetic mutation won’t let you shoot lasers out your eyes or that genetically engineered spiders won’t grant you superpowers. They also understand the “Mad Scientist” is character, not a representation of reality. 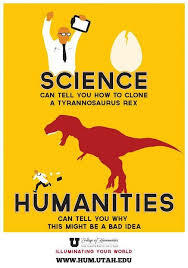 People also get that the way science is presented in films is often exaggerated or fantastical. Yet pop culture and these fantastical representations are a major source of information for people, providing us with exposure to scientific ideas. When we are exposed to new scientific information in our daily lives we bring our own frames of reference, knowledge and beliefs to bear when making decisions and forming opinions. Popular culture; Films, TVs books etc helps us do this. I want to understand this process in order to developed new and accessible ways of engaging people with genetics and If you’d like to help, please share your views in my new survey. 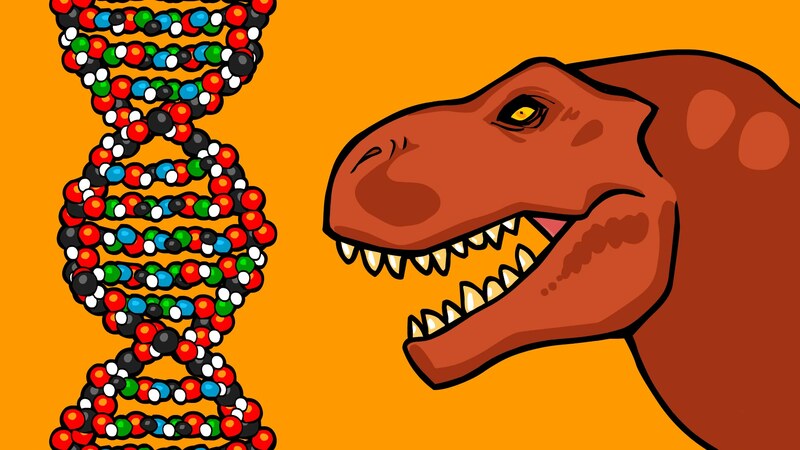 I’ll make you a Dino if it helps to teach genetics!